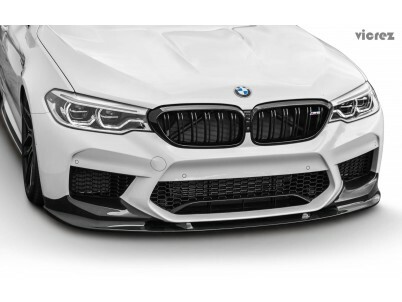 Our front splitter creates downforce for a better driving experience. They are designed to increase front down force by allowing air to push down on it and therefore pushing the whole front of the car downwards, reducing lift. Warning: User assumes full responsibility for ensuring proper installation as intended. Professional installation by well-qualified personnel is highly recommended. Vicrez Dodge Challenger SRT Hellcat 2015-2018 VZ Style Front Bumper Splitter vz100661 Vehic.. Simple, Functional Rear Add-on Modification This is perfect appea..